Decorating spray for identical granit-look. 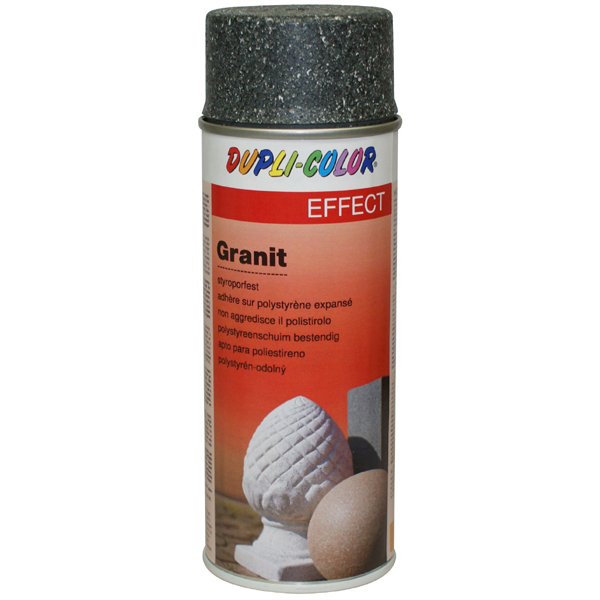 DUPLI-COLOR Granit is suitable for interior and exterior use. For weather-resistance the assortment includes a special clear coat, art.no. 659188. 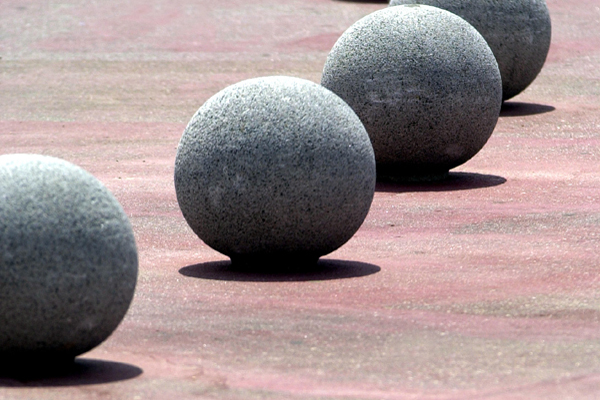 DUPLI-COLOR Granit is applicable on every surface; wood, metal, glass, ceramics, porcelain, paper, cardboard, stone, plastics and even on expanded polystyrene. For optimal adhesion to the ground a suitable primer is necessary. 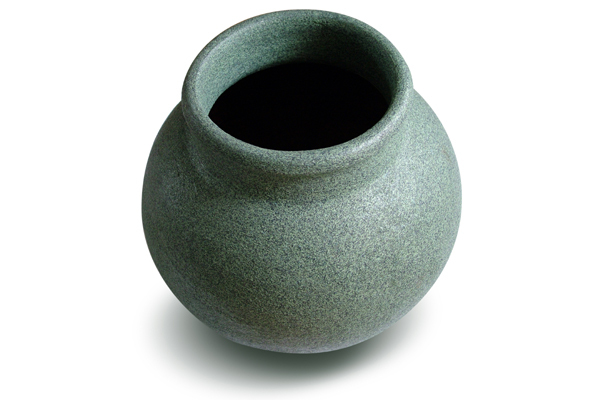 When applying light Granit Style colours on dark surfaces pre-coat a light primer, for example DUPLI-COLOR Universal Primer art.no. 325021. Plastic objects are recommended to be primed with DUPLI-COLOR Plastic Primer. If necessary slightly sand surface. Remove the dust from smoothing. The surface must be clean, absolutely free of grease and dry. Shake the can for 3 minutes. Spraying distance approx. 30 cm several thin coats at 2 minute intervals.